“ensure that provisions of the Convention that give rise to extraterritorial jurisdiction can be directly applied before domestic courts”. Following the sixth review of Canada’s performance in respect of its obligations under the Convention Against Torture and Other Cruel, Inhuman, or Degrading Treatment or Punishment (Convention), the UN Committee Against Torture (Committee), in Concluding Observations published on 25 June 2012, identified as subjects of concern and made the recommendations for remedial action necessary to bring Canada into compliance with the Convention quoted in paragraph 1 above. The recommendation quoted in paragraph 1(a) was made specifically in reference to the case of Omar Khadr. The balance of the recommendations quoted was made in reference to Canada’s compliance with the Convention in all cases. The 2012 report to the Committee by Lawyers’ Rights Watch Canada (LRWC) and the International Civil Liberties Monitoring Group (ICLMG) identified the need for these remedial measures. In a November 2012 report LRWC and ICLMG asked the Government of Canada (Canada) to treat “redress” as encompassing the full range of Article 14 duties identified by General Comment No. 3 (GC 3). Omar Khadr, a Canadian citizen was subjected to years of torture and ill-treatment and arbitrary detention after being captured by Special Forces troops of the US Armed Forces in Afghanistan in July 2002 and imprisoned by the US first in Bagram prison in Afghanistan and then in Guantanamo Bay prison until repatriation to Canada on 29 September 2012. Materials before the Committee in 2012 included a briefing from LRWC and ICLMG. Further background on the Omar Khadr case can be found in the University of Toronto’s Omar Khadr Resources page in statements and recommendations by UN treaty bodies and other UN officials and by the Inter-American Commission on Human Rights. On 29 September 2012 Omar Khadr was transported by US authorities to the custody of Canadian authorities. Omar Khadr was imprisoned in Canada until granted judicial interim release on 5 May 2015. On or about 7 July 2017, Canada paid compensation to Omar Khadr. After repatriation, Canada continued to subject Omar Khadr to harsh treatment which included, while in prison, periods of isolation and solitary confinement, denial of timely and necessary medical care to preserve his eyesight and treat other injuries suffered during his capture in 2002, unreasonable restrictions of rehabilitation opportunities through education and counselling, and the absence of legal aid. Throughout, Canada vigorously opposed court applications seeking improved conditions and persisted in characterizing and treating Omar Khadr as blameworthy and likely dangerous. Canada has not yet provided the full redress recommended by the Committee and required by the Convention. UN Committee Against Torture (CAT), Concluding observations on the sixth periodic report of Canada, 25 June 2012, CCPR/C/CAN/CO/6. Briefing to the Committee against Torture, 48th Session, May 2012 on the Omar Khadr Case—identifying contraventions of UNCAT obligations by Canada in the case of Canadian citizen Omar Khadr. UN Committee Against Torture (CAT), General comment no. 3, 2012: Convention against Torture and Other Cruel, Inhuman or Degrading Treatment or Punishment: implementation of article 14 by States parties, 13 December 2012, online: http://www2.ohchr.org/english/bodies/cat/docs/GC/CAT-C-GC-3_en.pdf. 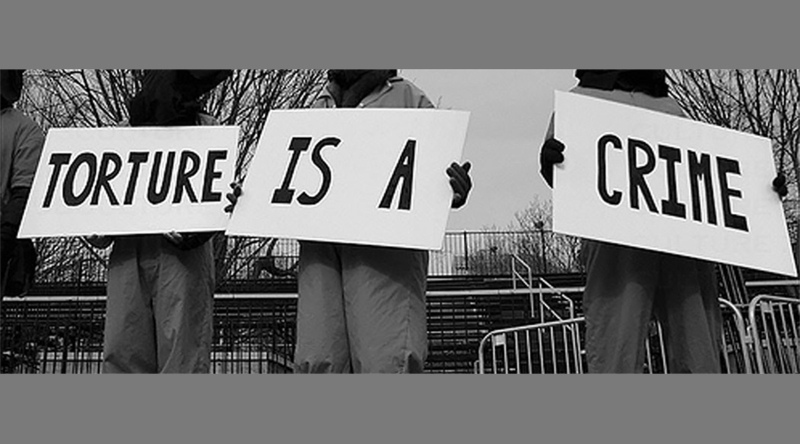 Inter-American Commission on Human Rights, Precautionary Measures Regarding Guantanamo, MC 8/06 – Omar Khadr, United States, available at: http://www.oas.org/en/iachr/pdl/decisions/GuantanamoMC.asp#MC806.